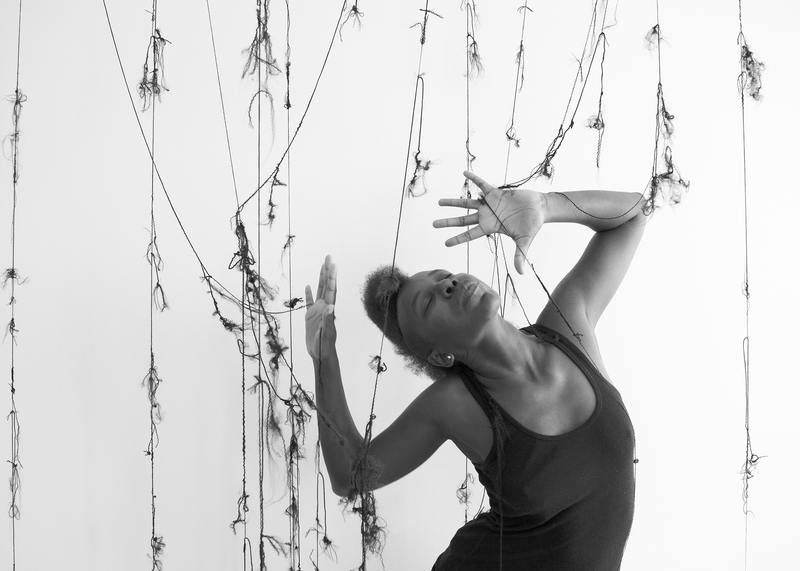 In conjunction with the Alchemy exhibition, join us for a performance by Miatta Kawinzi that will use language, movement, and live/recorded sound to explore different kinds of power. Kawinzi will use sound as a force within space to alchemize hardness into softness, giving particular resonance to this transformation in this moment of ongoing societal discord. Miatta Kawinzi is a multi-disciplinary artist working with images, objects, sound, space, the body, and language. She was born in 1987 in Nashville, TN to a Liberian mother and Kenyan father. Based in New York, she has exhibited and/or performed her work in the US, Mexico, Switzerland, Trinidad & Tobago, and Liberia. Recent exhibitions include those at the Studio Museum in Harlem; Aljira Center for Contemporary Art, New Jersey; and the FNB Joburg Art Fair, South Africa. Kawinzi received a BA in Interdisciplinary Art & Cultural Theory from Hampshire College and an MFA in Studio Art from Hunter College. She has been awarded artist residencies at the Bag Factory (Johannesburg), Bemis Center for Contemporary Arts (Omaha), Beta-Local (San Juan), Greatmore Studios (Cape Town), IAAB (Basel), Flux Factory (NY), and the SOMA Summer program (Mexico City). She recently completed a residency in Paris under the auspices of the Lower Manhattan Cultural Council.